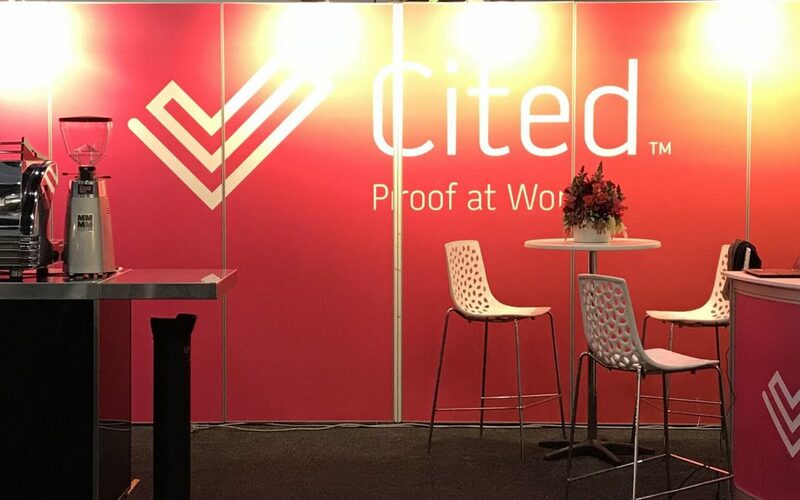 August 28th to 31st saw Cited exhibit at The AHRI National Convention and Exhibition at the Melbourne Convention and Exhibition Centre. With over 3000 HR and business professionals from across the globe in attendance, it was a great platform to meet other industry professionals and receive so many positive reactions to our platform. Governments around the world are tightening their data protection regulations. Panellists at AHRI led discussions on the quantum shift in HR data management to a world where the individual manages their information profile is becoming more and more prevalent. A topic Cited’s managing director Petra Nelson is passionate about. AHRI and see a panel of experts including Jarrod McGrath, John Macy (FAHRILife) and Jane Hume openly discuss this model as the way of the future”. Cited™ Proof at Work is a national background checking service and compliance tracking platform that offers online national police checks, identity checks and employment verification services. We allow individuals to maintain their own personal data record whereby organisations access and contribute to it. “I am so proud of our tech team leading the charge and enabling the change the HR industry needs to implement across all workplaces” says Petra Nelson, Managing Director, Cited. For more information about Cited and our products, visit our business page.